This week’s featured vendor is Sue Garing of Sue Garing Honey! 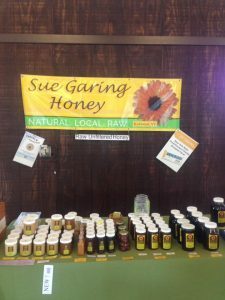 Sue Garing Honey carries a variety of local honey products including raw honey, honey comb, creamed honey, honey sticks and candies, candles and more! 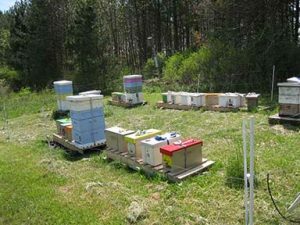 Sue originally bought hives to pollinate her fruit trees. Eventually, she started selling the hive products and has now been in business for over 6 years! Sue’s honey is completely local and available in seasonal floral varieties. If you have never tried raw, local honey, be sure to stop by her booth at the market for a sample! !